Cashews account for 67 percent of all tree nut imports in the U.S. At Red River Foods, we care deeply about every aspect of cashew production and distribution, ensuring only the highest quality, sustainable product ends up in the hands of our consumers. We believe that investment in local cashew-farming communities yields cashews of the highest quality, safety, and sustainability. This belief, coupled with our global presence and cashew market insights, allow us to ethically increase our production and distribution volume while creating real, positive change in farming communities around the world. Red River teams in Ghana, Ivory Coast, India, and Vietnam source cashews of the highest quality while working hand-in-hand with local communities for the mutual benefit of farmers, processors, consumers, and the environment. In Vietnam, we manage a cracking and peeling facility along with our own state-of-the-art cashew cleaning facility. In all regions of the world in which we operate, Red River assists local populations by investing in their economic and social well-being. Our approach is simple: healthy, happy communities lead to great tasting, ethical, sustainable cashews. View our latest cashew industry highlights and learn more about Red River’s commitment to sustainability and corporate/social responsibility. Most cashews in the U.S. are sold as a snack item, yet their versatility makes them an excellent ingredient in variety of dishes. 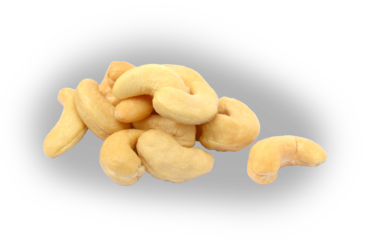 For centuries, cashews have been a core element in many traditional cuisines around the world. Like almonds, cashews are often used as a dairy milk substitute.